Facebook introduced hashtags to great fanfare last June, but according to research from social analytics firm Quintly, the feature has not exactly been embraced by page administrators. 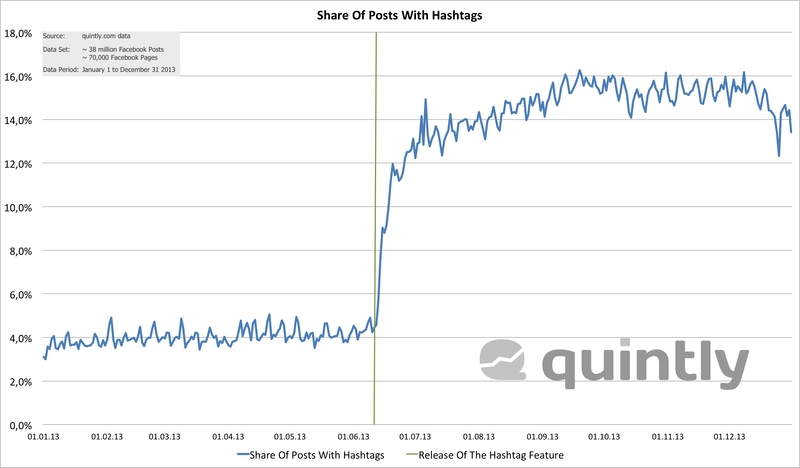 Prior to Facebook’s launch of clickable hashtags last June, an average of 4.03 percent of posts contained hashtags. That figure shot up to 14.4 percent immediately after the feature’s debut, but its growth seems to have stagnated, with the percentage of posts containing hashtags settling in at around 16. 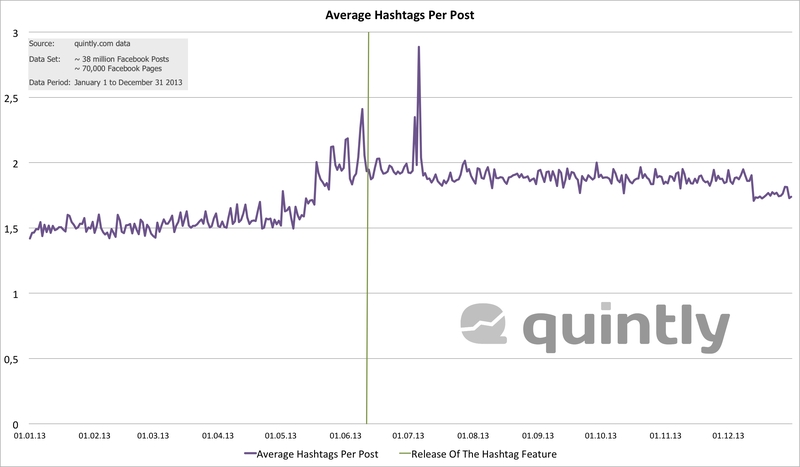 For posts containing hashtags, an average of 1.5 were used prior to Facebook’s launch of the feature, and that average shot up to 2.5 quickly and peaked at nearly three between July and August 2013, before dropping back down to 1.9. All charts and analyses are revealing that Facebook hashtags are only of low general interest and that they have been hardly used as of today. It seems that Facebook has not found the right levers yet to make them a real success. I think hashtags are a great way to discover topics of interest and to filter the noise. While hashtags are working well for me on Twitter and Google Plus, Facebook currently isn’t giving me real incentive to behave in the same way. What do you think: Will Facebook improve the value of hashtags by promoting and integrating them into existing functionalities? For example, it could copy the process we all know from Google Plus posts, where a contextual-fitting hashtag is automatically added. Also, Facebook’s recently revealed Trending feature could be a step in this direction. On the other hand, one can also wonder whether Facebook will quietly remove this feature during this year. Readers: Do you think hashtags on Facebook have been a failure, or is it still too early to tell?